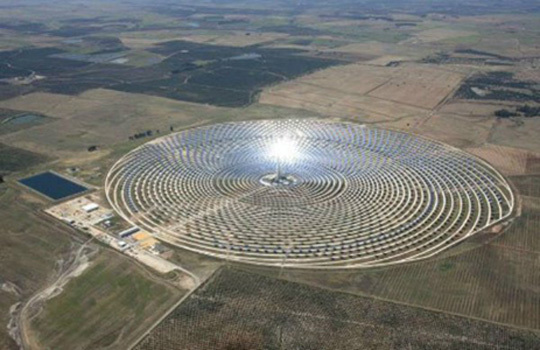 Brief：Morocco is building the world’s largest concentrated solar power plant. Morocco is building “a complex of four linked solar mega-plants that, alongside hydro andwind, will help provide nearly half of Morocco’s electricity from renewables by 2020,” reports The Guardian. When the entire project is finished, it will be the world’s largest concentrated solar power plant in the world. The first phase, Noor 1, will go live next month. And El-Haite said Morocco wants to eventually move to complete self-sufficiency, including water desalination plants, and start exporting its energy to Europe, the Middle East and other parts of North Africa. The solar potential in the world’s deserts is vast. Thirty years ago, German particle physicist Gerhard Knies calculated that, according to The Guardian, “in just six hours, the world’s deserts receive more energy from the sun than humans consume in a year.” The issue has just been figuring out how to transport that energy to population centers in a cost-effective way. The cost of solar is plummeting. And as researchers develop cost-effective battery storage for solar and wind, renewable energy will continue to take off. Meanwhile coal companies keepfiling for bankruptcy in droves: in the last five years, a coal company has gone bankrupt on average every month.